"I want you to suffer the way I'm suffering now!" 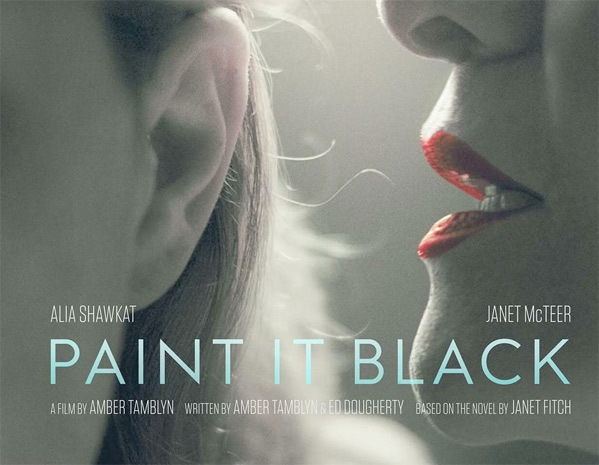 Imagination Worldwide has debuted an official trailer for an indie drama titled Paint it Black, the feature directorial debut of actress Amber Tamblyn, who also co-wrote the script, adapting Janet Fitch's book of the same name. The film stars Alia Shawkat, Alfred Molina, Janet McTeer, Emily Rios, Annabelle Attanasio, John Roberts, and Rhys Wakefield. The story follows Shawkat as Josie, who learns that her boyfriend has died, and she struggles with both grief and his intense, cruel mother, played by McTeer. Tamblyn says: "My hope was to make a movie that was as visually intoxicating as it is psychologically — a true and twisted look at the violent, terrifying, and beautiful subconscious lives of women in the throws of major life changes." This definitely looks stylish. Take a look. What happens to a dream when the dreamer is gone? Paint it Black is the story of the aftermath of Michael's death, and Josie's struggle to hold onto the true world he shared with her. As Josie searches for the key to understanding his death, she finds herself both repelled and attracted to Michael's pianist mother, Meredith, who holds Josie responsible for her son's torment. Soon, the two women find themselves drawn into a twisted relationship reflecting equal parts distrust and blind need. Paint is Black is directed by actress Amber Tamblyn, making her feature directorial debut. The screenplay is by Ed Dougherty and Amber Tamblyn; based on Janet Fitch's novel. This first premiered at the Los Angeles Film Festival last summer. Imagination Worldwide will release Paint it Black in select theaters starting May 19th this spring.